Flow Control Magazine, which targets solutions for fluid movement, measurement and containment, handed out its annual Innovation Awards recently. Among those receiving honorable mention was Flexim Americas Corporation, for the Fluxus Cryo that provides noninvasive measurement of cryogenic fluids. Special design adaptations prevent ice build up on the measurement apparatus that that can plague other technologies. Ultrasonic flow measurement offers some distinct advantages over other available methods, with high accuracy, no intrusion into the media, and no moving parts. While the award was specifically for a cryogenic application, Flexim ultrasonic flow measurement instruments are available for an extensive array of applications. 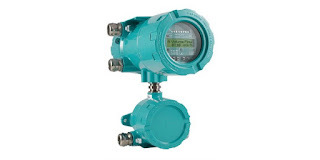 For more information, share your flow measurement requirements and challenges with process instrumentation experts, leveraging your own process knowledge and experience with their product application expertise to develop effective solutions.